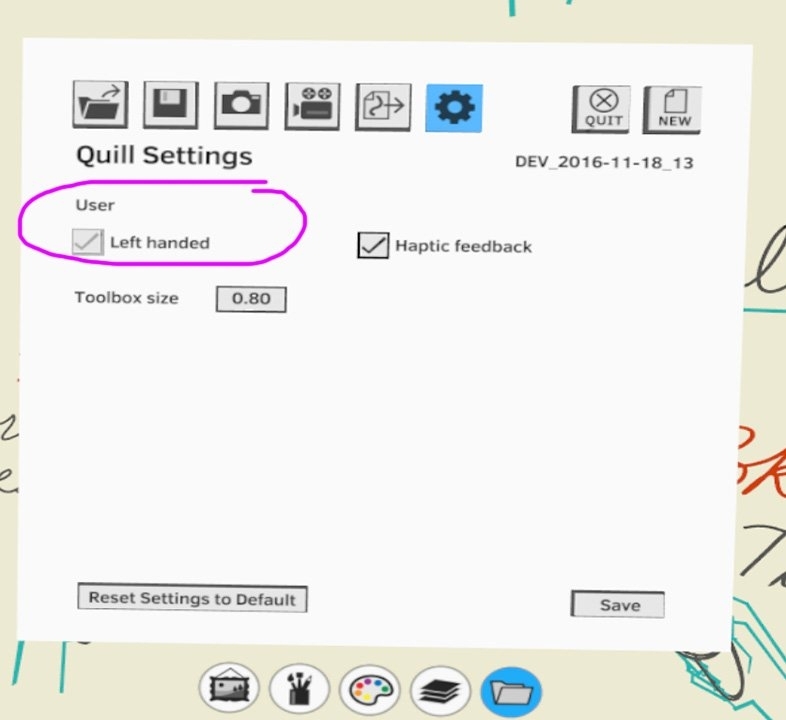 Since we've gotten this question a few times - here's the button to make Quill left handed. Open Menu-->Settings button-->Poke Left handed and Poke SAVE at the bottom. It would be nice if all Touch apps took handedness into account--apparently Kingspray only allows you to paint with your right hand, although a fix is supposed to be coming.